Long-wheelbase models are popular in China with older business people. They provide more leg room and space in the back seat. 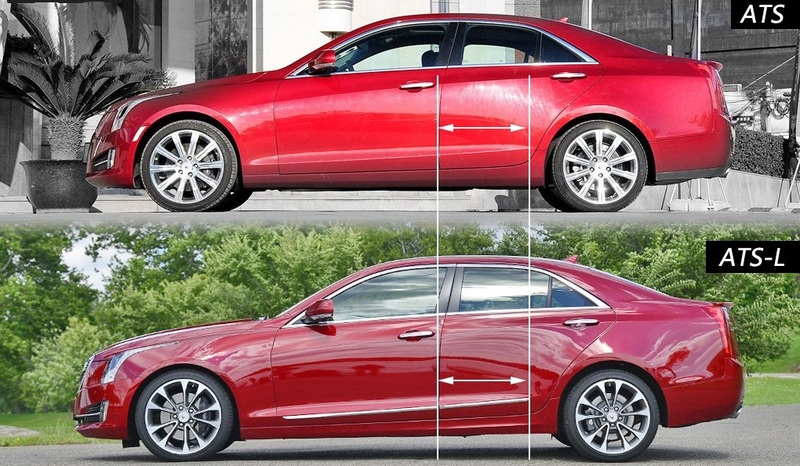 Cadillac is going to move away from building these models, and switch to a size that is in between normal and long. General Motors' top luxury brand will opt for single unified designs that will be sold in all markets, including the US and China. Future models will bring a "right size" wheelbase, longer than Cadillac's current US-market cars but not quite as stretched as China-spec variants such as the ATS-L, chief executive Johan de Nysschen told Reuters. Younger drivers like to actually drive instead of being chauffeured through heavy traffic. This is important when you take into account the average age of Chinese owners, 34. Cadillac chief de Nysschen said, "In China, young buyers already dominate the luxury market. It was far easier to begin to cultivate the desired positioning for the brand from the get-go." China is going to be the top market for Cadillac in the next few years, and that is why the brand is tailoring its product development to appeal to the demands of the Chinese people. This is a smart move and I think one day we could see some of this happen in America since we have brands like Uber and even big companies like Google that have been around for a while wanting to get into transportation. These will be perfect for black car services, cost effective, great image (for client and company), and offers sufficient space.